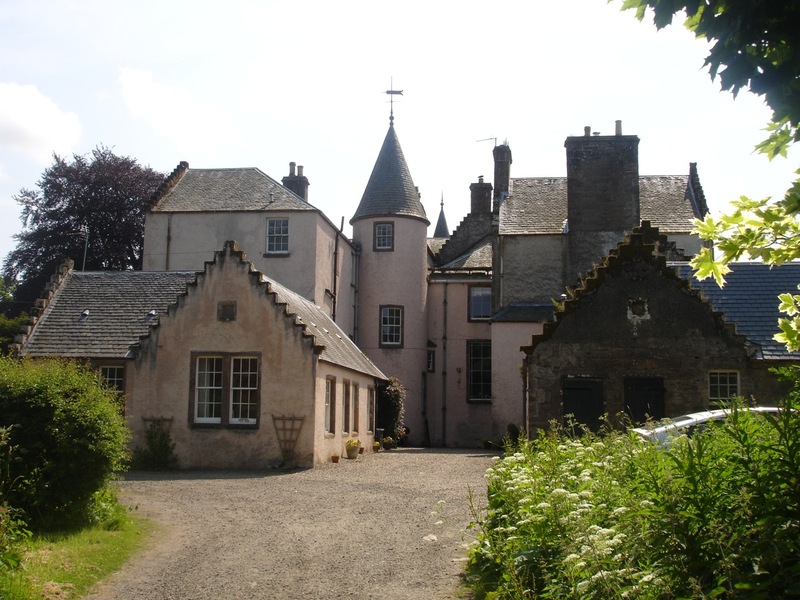 Bamff estate has been owned by the Ramsay family since the year 1232, when Neish Ramsay, a doctor, was given the lands of Bamff, Fyal, Kinkeadly and Ardormie, as a reward for saving the life of his patient, King Alexander II of Scotland. He is reputed to have removed a hairball from his stomach in an early successful operation. Local legend tells a longer story involving a magic potion made of a white snake caught at the cave behind the Reekie Linn waterfall. The present building began as a tower house whose origins are not known for sure but are likely to date to the 13th century. 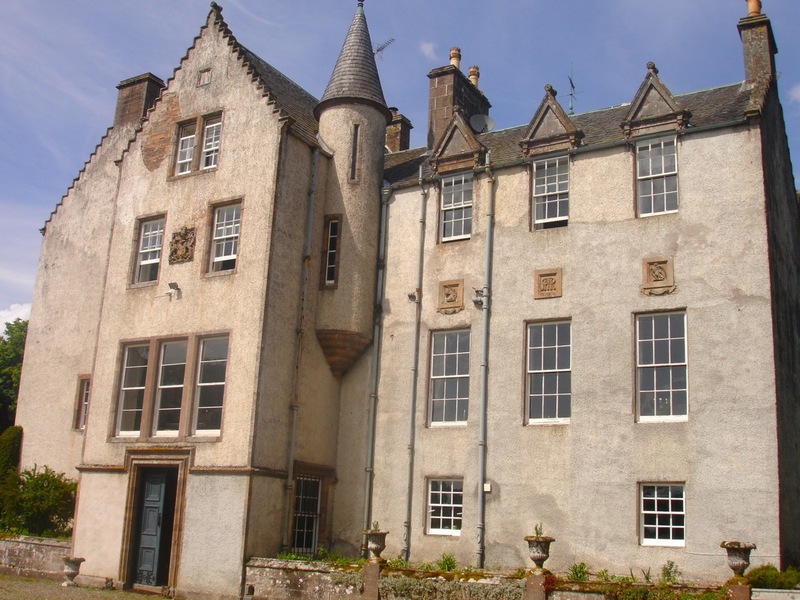 Sir James Ramsay, who collected and edited the charters, states that a “new tower” must have been built between 1580 and 1595 since a charter installs George 11 in the “Manes of Bamff, tour, fortalis, ortcheardes”. But contemporary architectural historians say that the new tower will most likely have been built on the site of the old tower and some of the stonework will date from the original building. It was unusual to move the building unless there was a problem with the site. In the case of Bamff, built on a rock in otherwise low wet ground, the site was well chosen. The house was altered and extended in the 18th and 19th century. The vaulted ceiling of the original kitchen was cut and the present library was made out of the space above. In 1820 the present dining room was added, as a drawing room, and in 1843 the architect Robert Burn remodelled the house. The area in front of the house was lowered at that time to raise the height of the basement floor and create the present hall. This also involved removing a double external staircase, which had given direct access to the first floor. Elaborate ceilings were added to three of the rooms at that time along with the present main staircase. The spiral staircases at the back, various other offices were added, along and the present kitchen began life as the dining room. At this time most of the Old Brewhouse was built, incorporating part of an older building. It was used as scullery, larders, brewhouse, dairy and washroom in the days when the estate was partially self sufficient and made its own beer, butter and cheese. Paul’s mother remembers her mother’s claim that the butter at Craighall was never as good as Bella’s butter at Bamff. (Bella was the dairymaid, of course). Things were changed around quite a bit in the late 1920s: marble fireplaces (probably dating from the Burn alterations) were removed and replaced. Four rooms were added for staff on the east side. The contents of the house have been accumulated by the family over the last 250 years. The designed landscape in the parkland partially follows a Thomas White plan. According to the last Lady Ramsay (Leanore) the house was so cold during this phase that snow built up to the second floor in a little courtyard at the back. This was possibly one of the causes of the severe dry rot from which the present owners had to rescue the house in the 1980s. Two rooms were demolished to open up the courtyard and allow air to circulate around the walls and parapet gutters were replaced with external rhones. 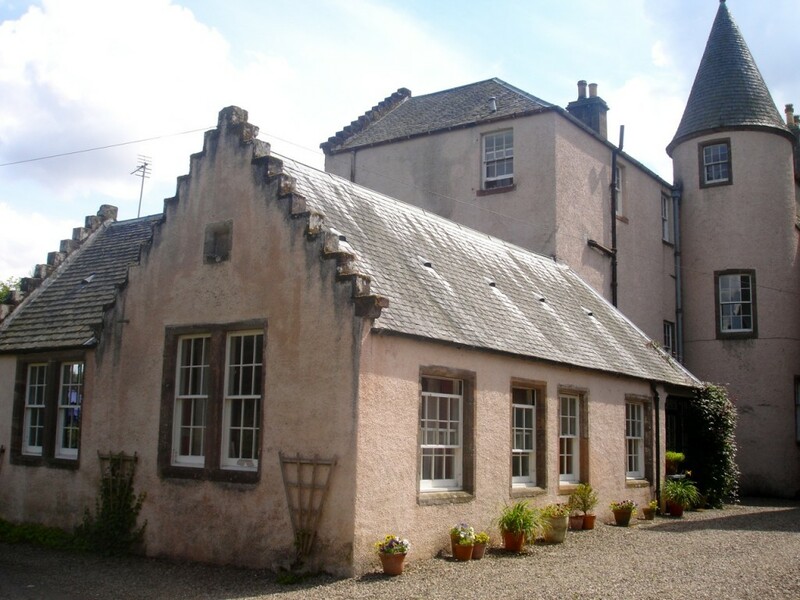 The repairs and alterations were done under the direction of James Simpson of Simpson & Brown of Edinburgh. They have also made three letting flats out of parts of the house they were not using: two for longer lets and one for holidays. 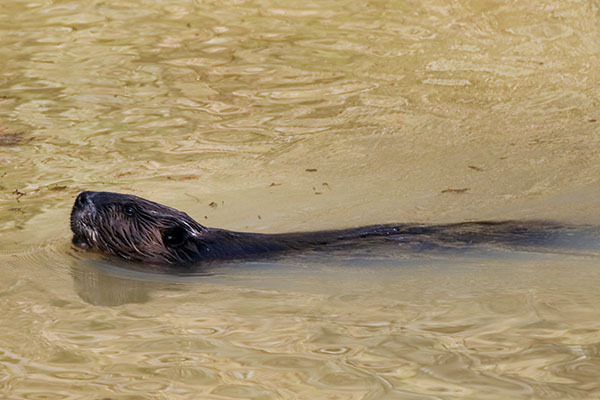 Over the last 30 years Paul Ramsay of Bamff, an environmentalist, has planted many acres of woodland, mostly of native species, and recreated many acres of wetland by the re-introduction of some European beavers, which are now breeding successfully in large enclosures. This project was the first of its kind in the UK. The beavers are helping to fulfill Thomas White’s intention to create a ribbon lake along the ditch that drains the flat ground around the house. Paul also keeps a herd of wild boars in the woods. *If anyone reading this entry knows more about this subject and would like to correct the entry or add to it please send us a message. We would also love to hear from anyone still alive who was at Bamff during the war, or at any other time in the past and has stories to tell. In order to reduce the carbon footprint of the estate we have insulated all the houses and installed a wood-chip boiler to heat the big house and the three flats. The chips are usually sourced from the estate. We have a policy of moving toward wood fuel in the estate houses using integrated heating to combine convenience with sustainability. We now have a farm-sized wind turbine making electricity for the house and the grid. 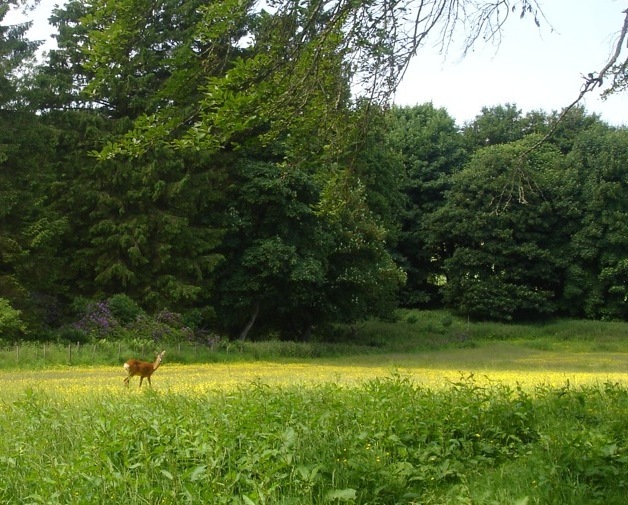 If you want to arrive by public transport we’ll pick you up off the bus at Alyth. There are bicycles for guests to borrow.